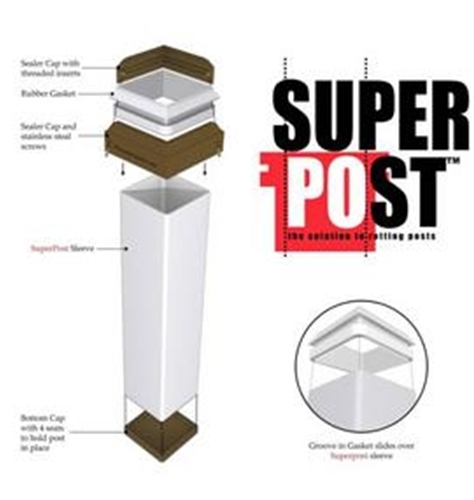 SuperPosts come in two different sizes made to fit standard 4x4 or 5x5 wood fence posts. The vinyl sleeve is stocked in 36" size. Also available in 18” & 24" lengths by special order. Sealer caps are offered in white or brown. This post protection system is pre-assembled with a bottom cap glued to the vinyl (PVC) sleeve, a rubber gasket, two stainless steel screws, and a two piece sealer cap.